Sun, sea and delicious food are all plentiful in the Mediterranean – the ideal region for a relaxing cruise trip. And as ever, Cruise 1st Australia is here with all the latest deals. Take a look at our best Mediterranean cruise deals, or read on to find out more about the places you’ll visit and the things you’ll do on your cruise. A Mediterranean cruise offers a fantastic tour of some of the best places to visit in Europe, while living in true luxury on your chosen cruise ship between stops. 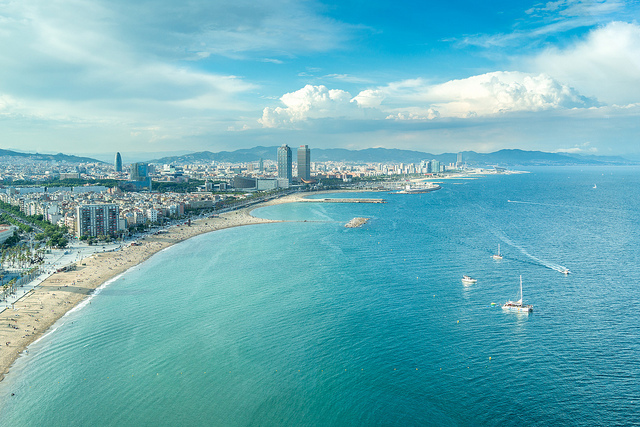 The Mediterranean is known for its warm climate, picturesque coastlines and great food. At each stop you’ll take in new sights, absorb new cultures and try the local cuisine – and you’ll have plenty of stories to take back with you. On your Mediterranean cruise you’ll get the chance to see quaint villages, pristine beaches, bustling modern cities and everything in between. Depending on the cruise you pick, destinations include Barcelona, Haifa (Israel), Valletta (Malta), Athens, Lisbon, London and many more. Cruise companies currently offering Mediterranean cruise deals include Celebrity Cruises, Royal Caribbean Cruises and Norwegian Cruise Line. Starting with a flight from Australia, you’ll embark on a cruise from Istanbul which stops off at Ephesus, Haifa (Israel), Ashdod, Valletta (Malta), Messina, Naples and Rome. After your flight from Australia, this cruise sets off from Amsterdam and stops at Zeebrugge, Cherbourgh, Vigo, Lisbon, Almeria, Valletta, Athens, Ephesus and Istanbul. After flying from Australia to London, where your cruise begins, you’ll visit Southampton, Gibraltar, Cartagena, Barcelona, Palma de Mallorca, Cadiz, Lisbon, Vigo and back to Southampton. Remember, these are only a few examples of the great cruise deals we have to offer for 2014. Visit our Mediterranean cruises page to see the full list.